Usually, the answer falls into a range of three responses: Growth (increasing the value of a portfolio), Income (creating income streams for retirement) or Safety (having enough funds to keep my family financially safe in case of changes of fortune). All of those responses, however, have one overriding element, which is the creation of additional personal funds. Simply put, investing is about using money to make money. But sometimes investors have another, more benevolent, motive. Sometimes, investors want to invest in order to make a point. 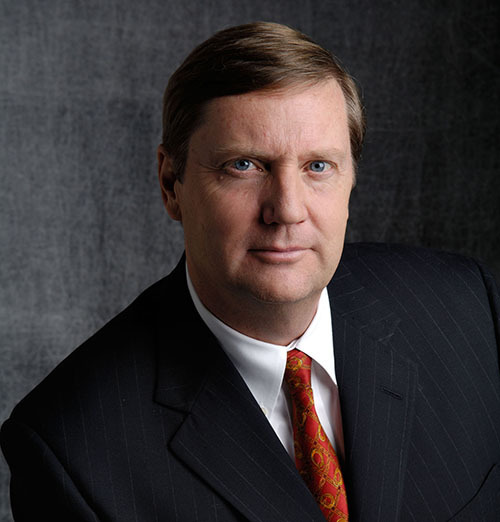 Socially responsible investing, or ESG (Environment, Social, Governance) investing, has limited appeal, according to Spectrem research, but those investors who want to send a message with their investable assets are adamant about it and their desires need to be addressed by advisors working with them. It’s a matter of being prepared to advise, having the information needed to make the best suggestions depending on the interest of the investor. Our new study, Investor Perceptions of Socially Responsible Investing, surveyed investors about their interest and knowledge of socially responsible investing. It showed that 67 percent of all investors know what socially responsible investing is. Asked to rank their familiarity with socially responsible investing on a 0-to-100 scale, investors placed it at 44.57 overall, although Professionals (attorneys, doctors, accountants) and Business Owners placed their familiarity at just above 50.00. So, interest in socially responsible investing remains middle of the road, and advisors can certainly understand why. Most investors invest solely with an eye toward creating more funds, and socially responsible investing holds a stigma that it does not offer the same return on investment other funds do. But an advisor working with an investor who is enthusiastic about making pointed investment decisions is going to want to find a way to accomplish both goals – getting a positive and fair return on investment while supporting companies with good environmental or human rights records. Advisors should be prepared to research funds which match the investor’s desires to find companies or, perhaps better as it relates to ROI, a mutual fund which caters to the interests of devoted socially responsible investors. Keep in mind that investors can do only a portion of that research on their own. They can find well-meaning companies to invest in and can create a list of companies they do not want to invest in. But determining the best way to invest with a purpose AND make money, that’s where a financial advisor comes in. 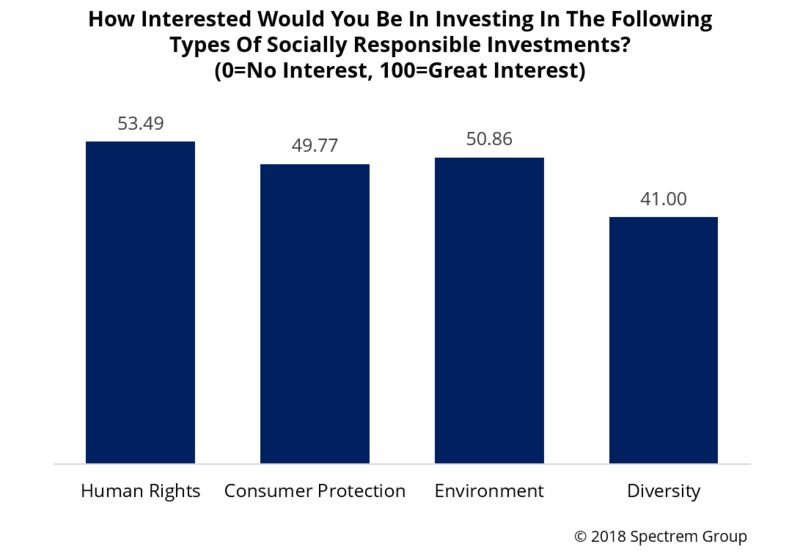 One question in the study which provided the most compelling result was asking investors to express their interest in different types of socially responsible investing – human rights, consumer protection, environment or diversity. Human rights got a rating of 53.49, a very positive result, while environmental concerns got a rating of 50.86, again showing some level of interest among affluent investors. For investors who have no interest in socially responsible investing, it is not necessary for an advisor to pry as to why (most will say they want to focus solely on making money). But for those investors who want to do something meaningful with their investable assets, advisors can discuss with them the reasons they are compelled in that way – for the sake of children and grandchildren, in order to have an impact on the shape of the world, or to send a message to companies which act appropriately as well as to those companies with poor human rights, diversity or environmental records. The bottom line is that some investors (and perhaps some advisors) will roll their eyes at the concept of investing to improve the world. They will say investing is not charitable giving. But some investors, including some very wealthy ones, do want to have an impact on the fate of the planet and the people who live upon it. And they will likely look to their financial advisor to help them accomplish that goal.